Old Navy: 50% off Sale $13.50 flannels, $7 shoes and more! The sales are coming fast and furious lately and it's not even Black Friday yet, but some of these deals are just as good! 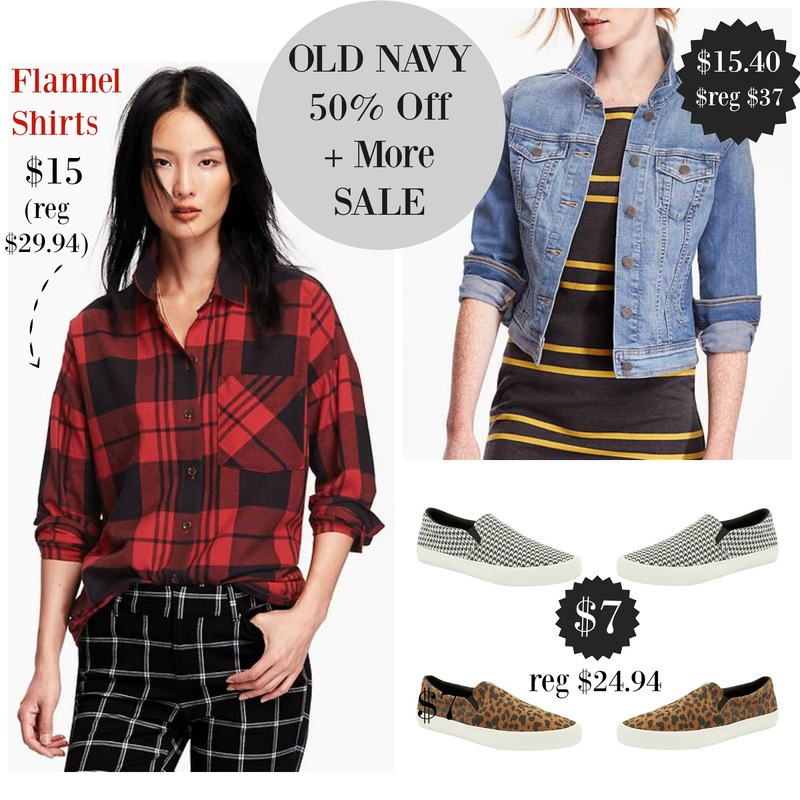 I wanted to share a few of my favorite finds since they are on major discount, Old Navy still has the best flannel shirts for your money. Monday Sales: Anthro FREE Shipping + Kate Spade "Surprise" Sale! Mondays are always better with a bit of retail therapy especially if you don't get your shop on this past weekend! Most of you know how rare it is to see free shipping on Anthropolgie's site plus you can still score the extra 30% off sale prices. 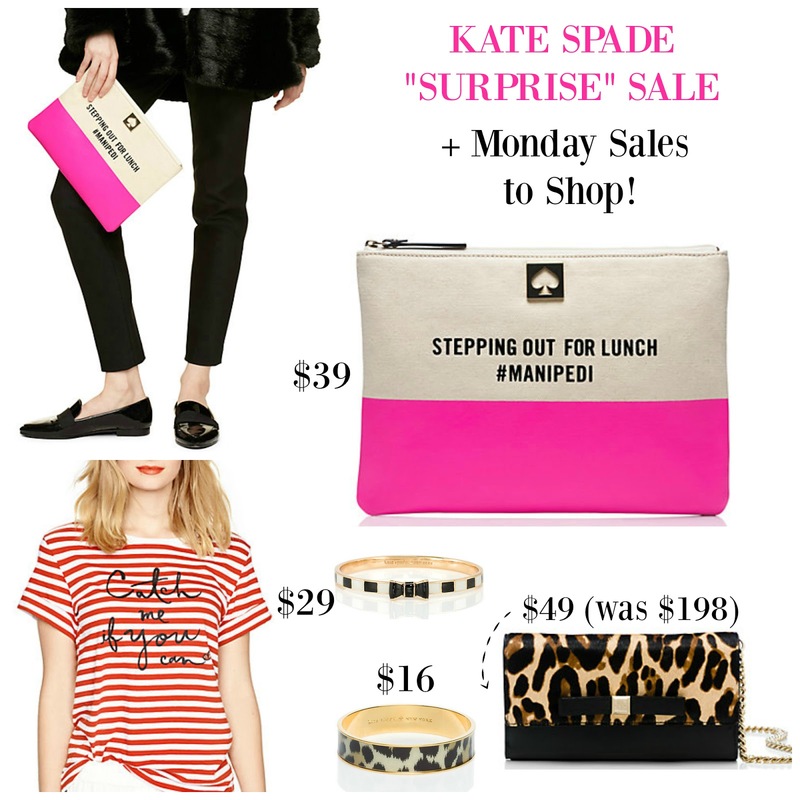 Kate Spade is tempting our wallets again with her surprise sale...the leopard bangle will be mine this time. I've been at Homegoods so many times in the last two weeks, I wanted to share all of the new arrivals from three different stores. I keep spotting Kate Spade items and enough Cynthia Rowley pieces for her own store! Right now, Christmas items are already stocking the shelves and it's going surprisingly fast, I'm seeing people filling up their shopping carts with holiday decorations. Lots of "Mad Men" style furniture too at all of the locations. Now is a good time to pick up gifts and get ready for Thanksgiving and Christmas before the madness officially gets underway! Happy Friday! When I was at Target the other day, I pretty much wanted every sweater at Target and wanted to share some of the cute styles while they are on sale and still in stock. These are just a small sampling of what's available, check out even more chunky knit cardigans in store that aren't yet online. Balmain x H&M Collection: Everything You Need to Know Before Nov 5th! We are now two weeks away from one of the biggest designer launches in H&M's fashion history. French fashion house Balmain is bringing their signature beading and embellishment to H&M, unfortunatly for most of us, the prices are still way out of our budget. While these items aren't "everyday" clothing, I wanted to share this gorgeous collection since there are a few pieces under $50 and for those of you who want to treat yourself and love Balmain's style, you will not be disappointed. Make sure you scroll down for all of the info after the lookbook photos and remember these are just a sampling of the collection. Are you planing to shop this collection when it launches November 5th? 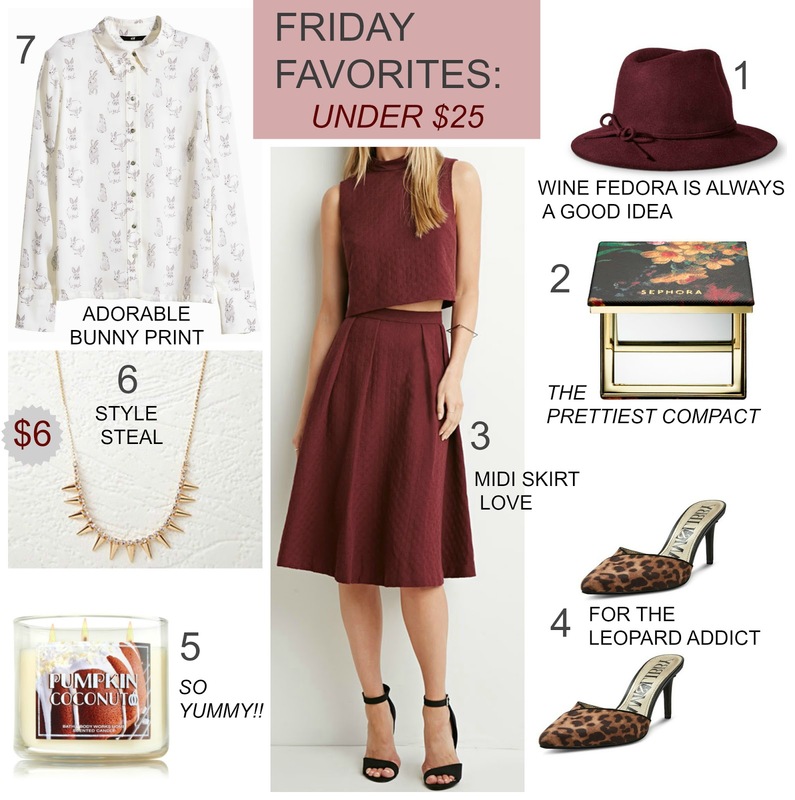 Better late than never, I've been struggling with a migraine today and feeling not so great...so of course I wanted to share a few sales worthy of your time with a shopping inspired look or what I would wear if I was hitting the stores today and if it was cold out, haha. These are all items that I've had in my online shopping cart and a my two favorites (leopard sweater and boyfriend jeans) went on sale today! 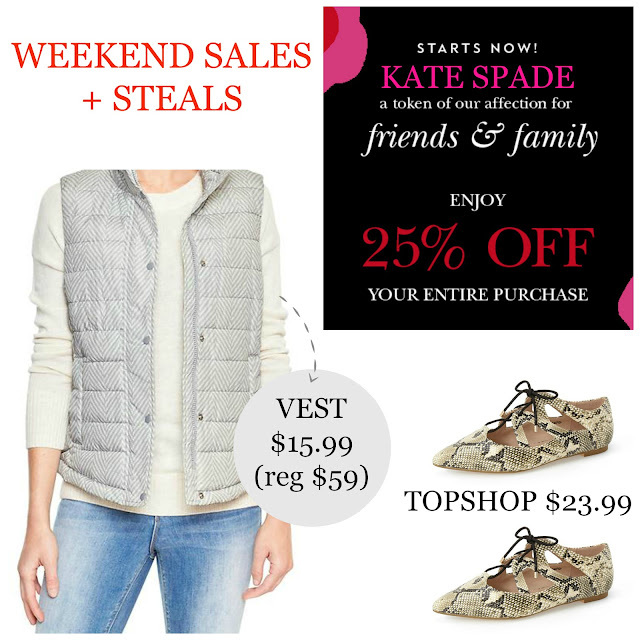 Weekend Sales including Kate Spade Friends & Family 25% off!! Hello weekend and Kate Spade shoppers! 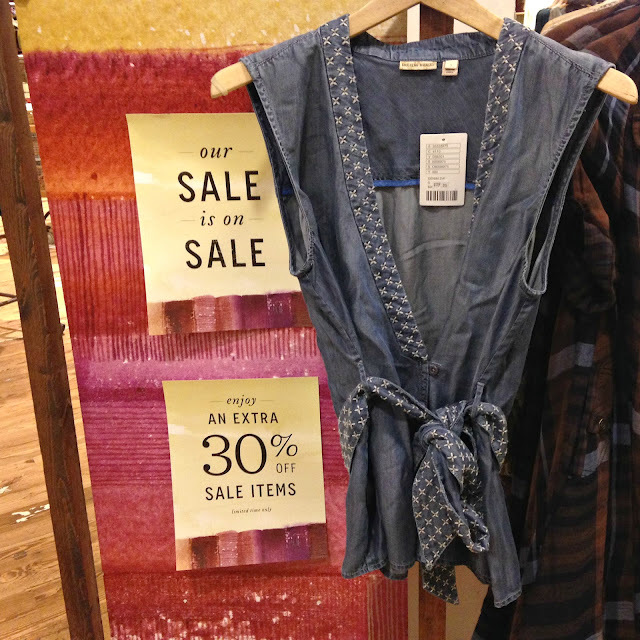 I wanted to spotlight some amazing sales with big savings on two fall trends, the puffer vest and the lace up shoe. I'm looking forward to a relaxing weekend with coffee, pumpkin donuts and catching up on fashion magazines with a stop at Ikea in between. I feel like this might be the longest wait for fall weather since've had since... last year! It is currently 90 degrees in OCTOBER!! We are expecting rain, but not the cold rain to match the calendar, but a warm humid tropical storm, I'm seriously considering moving to actually experience "seasons"... sigh. 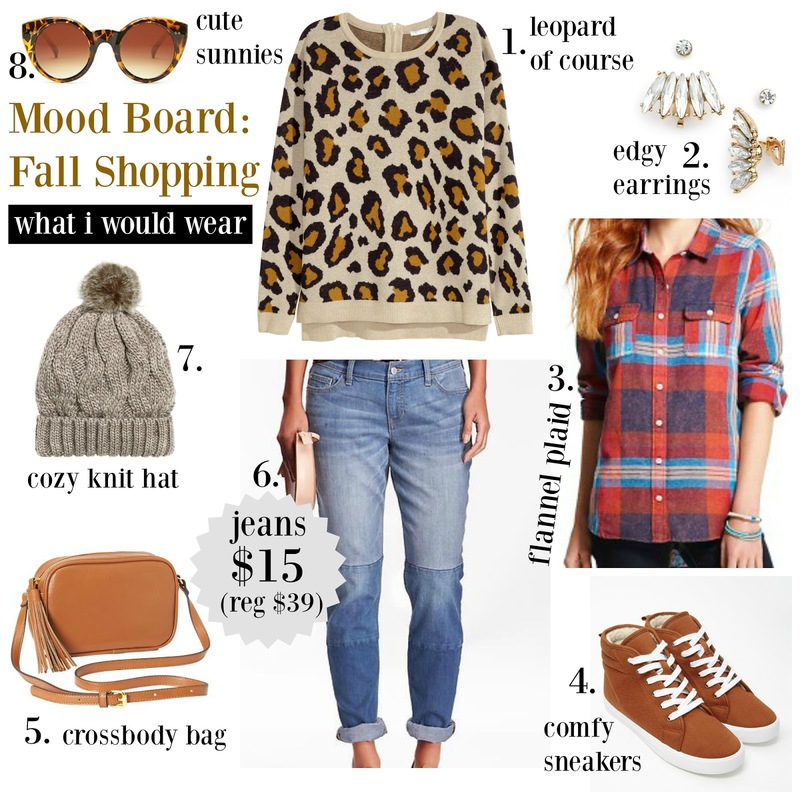 So naturally I am craving cozy fall layers and jealous of anyone able to wear a sweater or gasp, a blanket scarf! These are some of my favorites I've seen and some items that went on sale today. Hope you are enjoying some fall weather where you are! JCPenney New Stylus Collection: Store Pics + Columbus Day Sales! A few days ago, I spotted new (and affordable!) 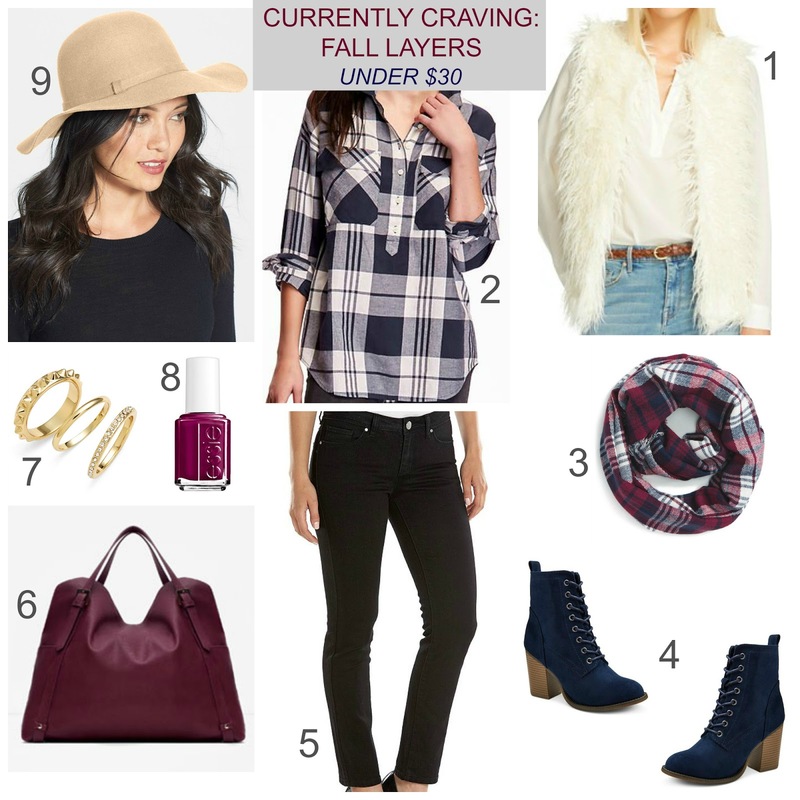 fall arrivals at JCPenney. While I didn't have as much time as I would have liked to take more photos, JCP's in-house brand Stylus added almost an entire floor of new clothing. I loved a.n.a collection of plaids and cozy fabrics and often forget how cute their pieces are. Also make sure you stop by the Sephora store inside JCP because they always have exclusive sets you can't find at the stand alone Sephora stores and they are starting to get in the popular holiday kits you don't want to miss. Today is a big day of Columbus Day sales - scroll down for all the links and codes! 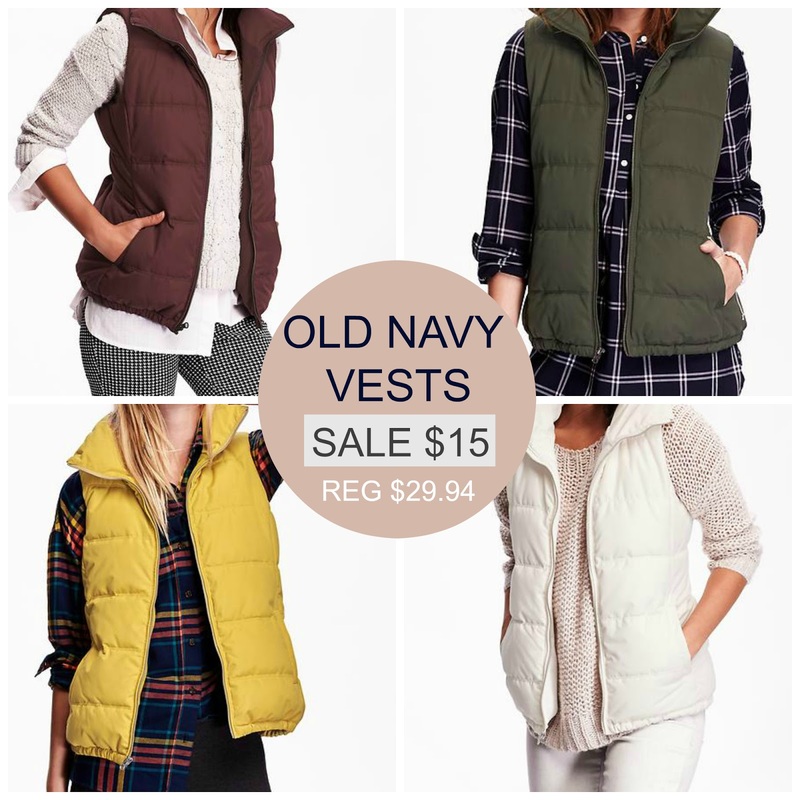 I rarely do a short sale post, but I didn't want anyone to miss the uber popular puffer vests on sale at Old Navy TODAY (10/10) for only $15!! These won't be on sale again until probably Black Friday in November. The deal is good both in store and online in seven colors. 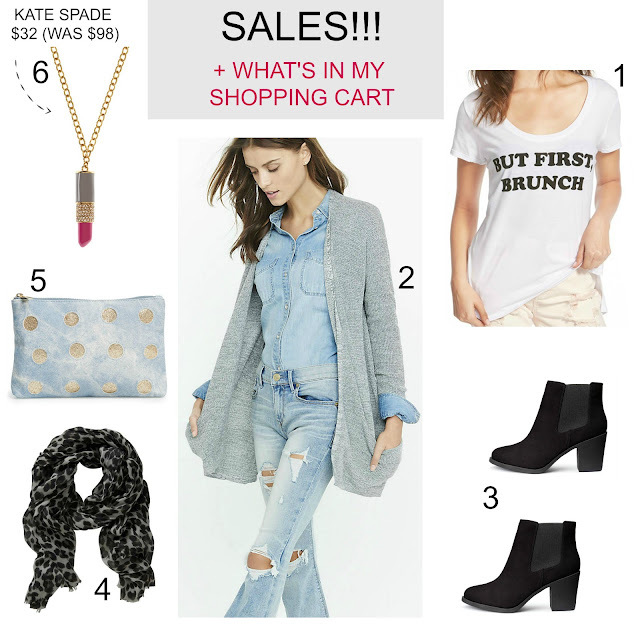 Early Columbus Day Sales + What's in My Shopping Cart! The Columbus Day holiday is coming up this Monday and I'm already seeing new sales pop up today! Apologies for my lack of posts this week, I'm still recovering from the weekend wedding festivities that started last Wednesday. I may also have underestimated how much I had to do around the apartment (and everywhere else! ), I'm calling this my "catch-up" week so I can better focus on the blog next week and sharing all the amazing finds with you for the upcoming holiday season. These are a few items in my online shopping cart. 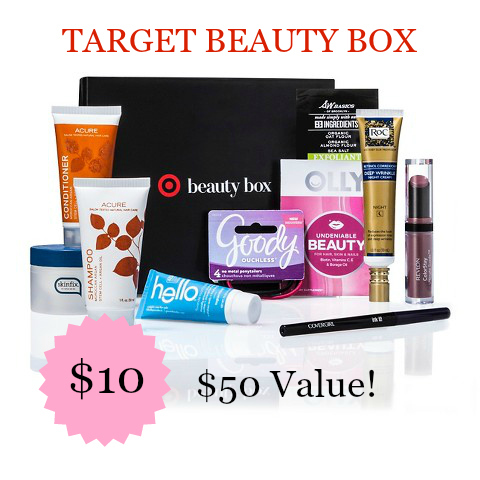 Happy Monday thanks to yet another Target beauty box! 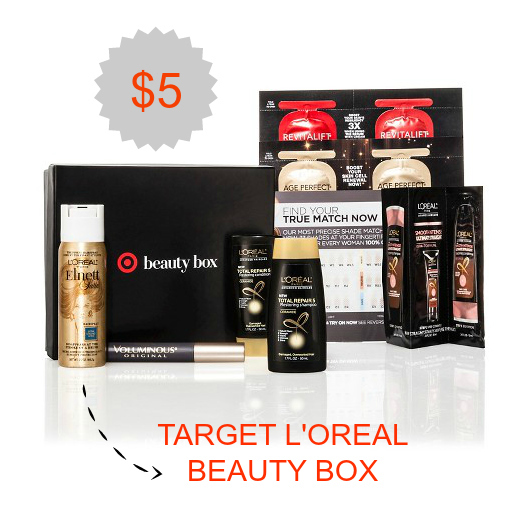 The October box is brand focused from L'oreal for only $5 and includes a $16 worth of products and is a one-time purchase. Well worth it especially if you are a fan of their cult favorite Elnett hairspray. Shipping is free and you can score an extra 5% using your Target REDcard. Thanks to My Subscription Addiction for the heads up! What do you think of this box - will you be ordering one? Target New Fall Nate Berkus + MORE Threshold Decor Store Pics + Discount! In the last two weeks, Target has released five different home collections including Nate Berkus' newest fall line. It's been hard to keep up with everything (check out Part 1 of my post here to see over 40+ store pics!) but also exciting for more affordable home decor. I don't know what I would do without Target or Homegoods, my apartment thanks you, LOL. What are your favorite home arrivals? Hope everyone enjoys the first weekend in October!